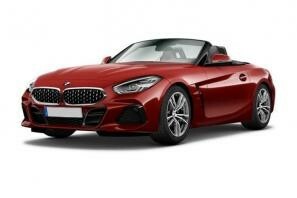 Find the best BMW Z4 leasing deals at CarLeasing.co.uk. It?s a two-seater and has a folding metal roof as standard. All of the Z4?s engines are turbocharged; the model designations might not spell it out but there are three 2.0 four-cylinder units and two 3.0-litre six-cylinder options. Find your perfect BMW Z4 by browsing our deals below. Choose from a range of optional extras and even insurance or maintenance if you want complete peace of mind. Our latest BMW Z4 leasing deals. Click the links below to view our latest BMW Z4 leasing options. 3 reasons to lease your next BMW Z4 from us. We deliver your brand new BMW Z4 vehicle for no additional cost.